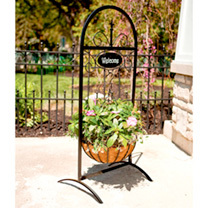 This unusual basket stand is a wonderful way to welcome visitors to your home. Its rust-proof finish and stylish design are sure to impress. 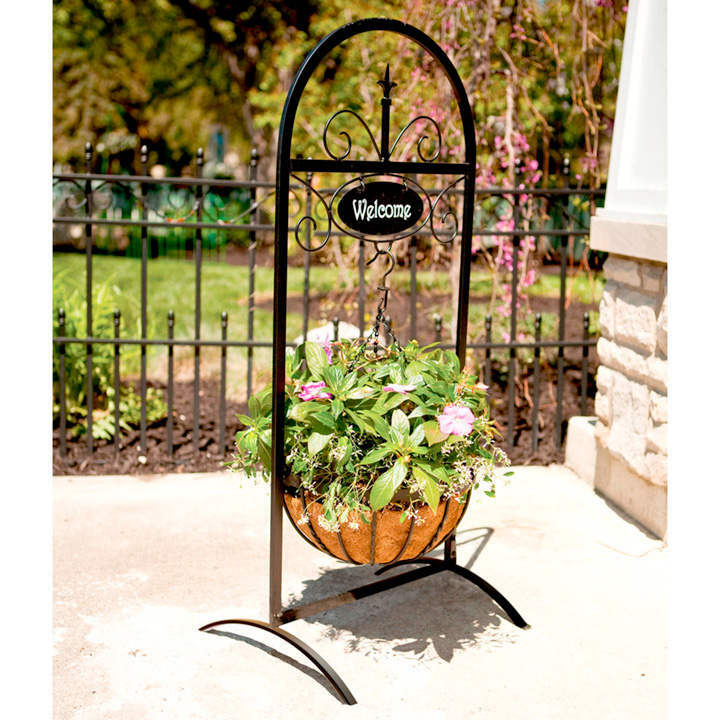 Holds standard 35cm (14”) hanging baskets with ample space for cascading foliage. Measures 116cm (45½”) high x 45cm (17¾”) wide x 30cm (12”) deep. Basket not included.